SVN continues to be the repository of choice for software teams managing projects with massive amounts of data. For over 10 years, companies all over the world trust Assembla to host their SVN repositories in a secure, high performing cloud environment. "I woudn't recommend Assembla for project management for software projects"
I can't really think of anything I really like about assembla. It is complicated to use, has the basic features that are needed, but the end result is difficult to read. The editor doesn't provide much help. Changes are displayed together with relevant information in a way that makes reading a simple task complicated. It takes a long time to get used to the format, and even then, it takes too long to get the information that is relevant from a ticket. As I said before, it keeps track of every change, so sometimes the change management gets in the way of a simple flow. The display of the data is so that relevant and irrelevant information is displayed together, so it makes it really hard to follow. It is very limited when you want to use custom fields. Default values are ignored. Sometimes, randomly, views revert to the default view and saved views are lost. I would look at other options. Assembla has been sold and aquired several times in the last few years. Every time this happens, promises are made (and broken). We use Assembla to manage the development of an ERP software package. We use it to keep track of development tasks and to track issues submitted by clients. Honestly nothing, it was a half decent tool for managing dev work. Their customer service is very terrible. No customer empathy, don't have the authority to escalate to solve problems. They have been messing with pricing plans so much that we need to add 5 users and they only would do so if we upgraded to a plan that was 20x the price per user than we were paying. After a long battle with customer support, they added a discount to make it somewhat affordable. But still a 2.5x increase in price. We were told this discount is only valid for one year and we will jump up to the 20x price. We decided to move to Jira and in the process of asking them to cancel a majority of our services and users, they did it wrong and keep charging us the old price. They would not issue a refund. Don't bother with these people! "Assembla: Solid Issue Tracking Platform"
I like Assembla for many reasons but largely because of its no non-sense, simple interface. All the required fields are there to manage the data we need tracked on a given bug, but it doesn't look cluttered or excessively flashy. It is easy to create saved queries to keep tabs on certain kinds of issues all in one place. The commenting system is robust and very user-friendly and allows me to auto-track a ticket that I created and thereby get email updates when team members comment on it or change its status or sprint number. I also especially like the way the UI handles photos/screenshots, which are crucial to properly documenting an issue with our software. One of the main things that annoys me about Assembla is that I cannot click a "next" button on a ticket to go to the next numbered ticket numerically. Periodically, I will log into the system to look at what new tickets have been opened and once I start back from the last ticket I reviewed, there is no easy way for me to browse forward. Because I primarily use this system for ticketing, the main page UI can look a bit cluttered with things that the team needs but I don't need access to view. Definitely use this system if you need to track software issues and manage a development schedule. We are able to track and manage all the bugs we experience with Assembla in a streamlined manner. Not only do we get to track them, but our development team can easily categorize and prioritize them to meet their goals for release schedule. "Recent change in ownership changes everything"
UPDATE: March 2017: Assembla has a new management team, and has significantly changed their model. When I wrote my original review, Assembla was reasonably priced for small teams or occasional users. That is not the case anymore. Their cheapest option is $75 per month, which drives the occasional user totally out of the market. I am no longer an Assembla customer. I have only been using Assembla for a couple of months, but it has been a breath of fresh air compared to the tools I was previously using. There are two ways you can use Assembla, and I'll try to point out the differences here, because I think they are very important to new users. 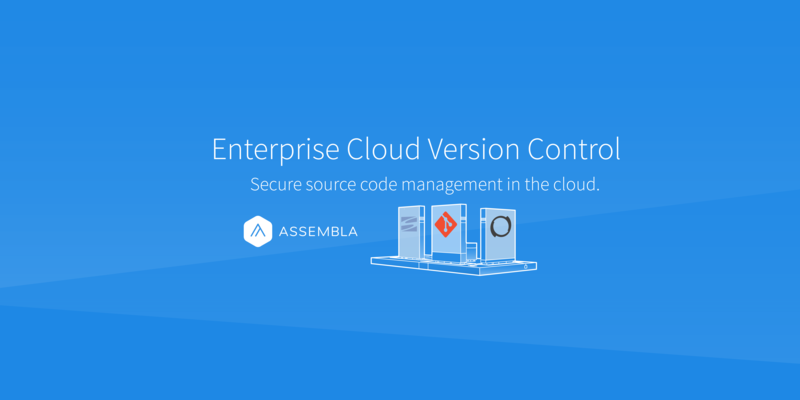 First, you can use Assembla as a free tool for cloud-hosted source control. You can have an unlimited number of GIT, Perforce, or SVN repositories, grouped into an unlimited number of "Spaces" with an unlimited number of named users that have access to a specific "Space." The limit here is that you can only host up to 500 MB of content combined across all your spaces and projects. The second way, is to use Assembla as a paid tool for product management. This option includes some great project management tools, as well as some of the features of cloud-hosted source control, but has some strange limitations. For example, if you are a paying customer, you now have a limit to the number of spaces and users that you can connect to your system. Free users have unlimited spaces and users, but paid users have a limit, based on how much they pay. Granted, the storage space is larger for paid users, but the limits on paid users and spaces is bizarre, when you provide unlimited options to your non-paying customers. As a cloud source control repository, Assembla is awesome. I love it. It is easy to set up, easy to manage, easy to connect to, and easy for my clients and co-workers to use. As a paid member, the project management tools are excellent. The card wall is easy to use and easy for people to understand. The ability to link to specific tickets when you commit from source control is amazing, and one of my very favorite features of Assembla. I hate (and I mean that in the nicest way), but I HATE that as a paid subscriber I have fewer options available to me for spaces and users than your free customers do. That just boggles my mind. I want to recommend Assembla to people in my field (as I'm a consultant in my industry), but I can't get over how you limit your paying customers in ways that you don't limit your fee users. UPDATE March 2017: Assembla resolved this concern by removing free accounts and raising the prices on paid accounts (from what I can tell). I can't find any options on their website anymore for free accounts. You may need two accounts: one free account for working with SVN repositories only (so you can have an unlimited number of spaces), and one paid account for working with project management tools. I wish I didn't have to recommend this, but Assembla's insane policy on providing paying members with fewer features (specifically in number of spaces and users) makes this the option I've had to resort to. As a consultant, I'm working with several different companies at the same time, trying to keep all my projects up to date, and managing communication with my clients. Assembla makes it easy for everybody to stay connected, to understand the current status of the project, and to contribute in meaningful, easy ways. "Programming Project Management Super-seeded By Atlassian "
Reliable. I've just Assembla for the best part of 10 years and I've never had any serious issues. Assembla is a great way one stop shop for managing a programming team: I've used it as a code repository, for buildsheets and notes in a wiki and ticket management. Recently Assembla has been taken over, the prices have risen sharply and there has been no substantial improvement in functionality. Dollar for dollar, you're probably better of using the Atlassian stack now even with their price increases too! The backups produced can not be restored with the interface to stop you from stopping/starting your membership. Management of programmers and projects. "Very organized, practical, and feature-rich"
I like that I can easily upload videos/screenshots, I also like that it supports multiple repositories. I recommend using the wiki as much as you can for miscellaneous information about the project, like READMe's, usernames/passwords, and contact information for your client/developers. It helps me convey to the developers what bugs are being presented in the software easily and I realize being able to assign tickets back to the developer keeps them organized. "Easy to track, easy to use"
The best features for me are the Cardwall (I manage a support team and this allows me to track the reports they send to the developers), and deployment tools that are easy for a non-developer to deploy various functions, such as restarting servers when necessary. My least favorite part is that it is a little clunky when you're first setting up different filtered views. It's not very self explanatory, but you can get through it on your own. They've made it easier over the years, so I see this functionality being developed further. Definitely take a look. I've used only a handful of other project management and ticketing tools and this one is by far the easiest to learn and customize. We rely heavily on Assembla to streamline our support. It helps me know what our highest priorities are at a glance, what open tickets we still need to focus on, who submitted which tickets, and which developers are responsible for the fix. Everything is logged so I can make quick decisions on who to contact for what, update customers as needed, and work with our team to ensure we resolve our technical issues in a timely manner. "A flexible tool that helped our shop organize and communicate"
When I used Assembla frequently, it was a much older version. As a DBA, I was able to "email" a ticket in for various schedule jobs that failed so that there was greater visibility of at-risk SQL tasks to the team. I also liked that it was web-based and I could check the status of my projects and tickets without having to be tied to my desk. If given the chance, I'd check out Assembla again to see how it's grown since I last used it. I haven't used it in over 5 years, so any complaints about general bugginess have most likely been resolved by now. At times it felt a little too ambitious like it was trying to solve too many business needs such that some features went unused for us. But looking back on it, our shop probably wasn't mature enough to require everything it had to offer. If I were in the market for project management and team collaboration software, I would take Assembla up on their trial offer. I remember it being a pretty solid piece of software. In a small shop, it was easy to simply send an email to someone to ask for some sort of action. However, if that email was missed, then a critical task could get missed. This gave the team visibility of what we were working on and allowed us to multi-task a little better. It also allowed us to see how much time we were spending on any given project. In addition we gained insight into situations such as tasks that were expected to be 5 hours turning into 50 hours. Assembla revolutionized how we did business with a CRM vendor. We were able to log tickets, track them and add resolution to them versus doing the same tasks via email. Prior to Assembla it was confusing to figure out where we left off on a task and sometimes it would be difficult to progress to the next step because we were taking a step back to review prior emails. There is not much I disliked about the product. For our purposes it accomplished what we needed it to do. We save immense amounts of time using Assembla and were also able to share information, task details and resolutions with co workers and with our external team. I was able to go in and review all pending tickets as well to make sure no duplicates were entered. "Assembla changed the way that our team works"
Integration between tickets, git commits and documentation in the wiki. I love that developers and clients can log into the same system and see the current state of the project. Complete transparency. I have been disappointed with the level of customization on client facing sections of the projects. I would like to be able to have more control over what my clients see. Assembla pulls all of the critical parts of a development workflow together into one place. Some parts are a bit rough (for example, time estimates and reporting needs work) - Nevertheless, Assembla makes development much easier than it was before. Everything from source control to peer reviews and project documentation is tightly integrated. Full transparency is an easy thing to manage with clients as we simply add them as project team members with read only access. I highly recommend using Assembla to all development teams. We have integrated a distributed development team. Assembla has allowed us to have a single place for developers, clients, project managers and QA staff to collaborate. "Best competitor in Agile project management"
Assembla is best for Project management and Task management. It's Issue tracking system is very feasible and user friendly. We can customize projects based on our needs. Coming to Agile, Scrum methodology can be very well managed with Assembla. A stable and perfect project needs the version control integration, in Assembla it also managed very well. Reporting is the other major highlight of using Assembla. Team members can see each task updates and track other developer's task updates and their dependency check any time. Need to concentrate on mobile platforms. If you are a beginner then you can easily learn Assembla unlike other software products in this category. Also, you will like the issue tracking system because it is more user friendly and less complex. Also the service team in Assembla is great. If you are a professional, then you can feel the easiness in project management after using Assembla. It doesn't matter if you are technically strong or not for using Assembla. Project management and Issue tracking are the major things when considering in a mobile or web development application. For that purpose, Agile project management software plays an important role. All these things are easily done with Assembla. Codereview in Assembla is good. Any good software application relies on good and reviewed code. In case of git version control, you can not push directly in to protected branch. These things are very well maintained in Assembla. "Great ticketing system for ticketing overview"
How easy it is to navigate the system and look up older tickets. I use the Assembla to report bug to R&D and tracking the status and communicating with R&D works great and Assembla allows me to keep a good information flow to R&D which is located in another continent and 9+ hrs time difference. Being able to customize the notification, you are able to stay on top of your issues and lets you know if you need to respond to any of your tickets. Filtering in the KanBan view is often confusing and navigating to my space is often confusing as well. I often loose oversight of tickets due to filtering. Be prominent when setting up spaces and make sure to align the standards of reporting for all the spaces. Reporting software bug to R&D and monitoring the process. Assembla allows us to keep track on each ticket and make sure that it is taken care of in timely fashion. It is very hard to "loose" a ticket in Assembla which is very important for us in order to deliver quality product and service to our clients. The ability to set up milestones and the daily commit log are really useful for development teams. It is a nice version control and project management platform and never had any issues with the platform. Used on a daily basis at my last job working on a custom software application used in manufacturing. Has integration that are useful for issue tracking and bug reports. User interface is kind of clunky and could use some improvement, otherwise it is a great product and I enjoyed using it. It is a good product for managing dev teams and code review. "Combined Version Control and Project Management Tools, Great for Distributed Teams"
Assembla is a nicely integrated site, including version control, issue tracking, general messaging, and private and public wiki spaces. We initially looked at it because they were the official repository server for Perforce, a commercial version control tool. We ended up using it with subversion instead, and it has some nice tools for viewing repositories, changes, versions, in a web page. I ended up not using their issue tracking system, just because I like my Trello lists better. I think they've updated it to be slicker now, but I am still using Trello. The Android app also seemed to be an afterthought, especially compared to Trello. If you can't self-host a subversion+redmine installation, or don't want to hassle with admin, Assembla is worth a try. It is good for issue tracking, and distributed team collaboration. They used to have a free account up to 3 users, so you could test drive it before jumping in, but I don't think they have it anymore. Assembla allows me to manage all of my repos and bug tracking in one easy location. I can manage bugs and track progress towards milestones. The price is also very competitive with other services. Sometimes they change the interface and I need to relearn where things are. Also, some items I use frequently are stick behind multiple click menus. If you want an easy to manage site for all-in-one software development tools. How to manage SVN and bug tracking. "Best for Project Management with Agile Methodology"
Now a days it is very challenging to handle the project using Agile methodology, ie, SCRUM, Sprint etc. Assembla took that challenge and implemented it more likely for both project managers and developers. Very vibrant UI and usability approach helped this tool to make a mark on the other project management tools. They support both subversion and git repositories. Ticket tracking system is catchy. Mainly the Dependency Report, which is very helpful. Wiki is the another thing which is to be noted. You can keep the project management documentation in wiki and can refer whenever you need or can share with the team. Implement new concept and ideas and improve speed and performance. New interface is good, but sometimes it is too heavy. Mainly concentrate on usability and performance. If you are looking for a better Agile based ticket tracking system then Assembla is the best option in today's world. Unlike other heavy project management tools, beginners can easily learn the tool and eventually develop their skills in Project management and ticket tracking, updating system, which is probably the best challenge in development. Task management, bug tracking are the major things. Adaptation of Agile Methodology and implementation with usability are the main benefits. "Assembla, interesting but could use some work"
The lack of cross project tools is painful. I am having to work with a friend to develop our own tools interacting with your APIs to determine hour allocation for projects, developers, qa, across all projects with a usage of hours determined as tickets complete. The generated reports are also not configurable which is also painful. We are having to run filtered CSV exports from the ticket views then run a report and use excel to mash them together for any breadth of insight, per week, per 15 projects. Let me tell you, that is painful. While this is not the powerhouse of Jira or Target Process, it takes far less ramp up time to get started and work. The integration with Git repos is fantastic. Associating tickets to work, cardwalls for milestones, and management of teams with a wiki for further info are all great out of the box features. While I am still digging into the features, expanding our usage of the tools, I am confident this software can help any dev team striving for ease of process and adoption for their engineering teams. Hour allocation per dev per client project. Milestone releases for agile process. Better process and automation. "Assembla as a ticketing system"
Convenient web interface for managing tickets and team workflow. Never used the version control features. While there are project / sprint management features available, team never warmed to them and never actively used them. General search capability over the ticket database could be better. Ticket and workflow management. Good tracking of work. Integration with version control (GIT) so that activity in GIT is logged to the tickets using webhooks. Ease of use - everyone in the company regardless of background, position or technical knowledge has been able to quickly pick it up and use for a variety of tasks. There new features and UI's don't always work as well as you would think. It seems like they might be making it more complicated for users to use. This is the perfect software in environments where not all users are technical. From support staff to sales and sponsors for projects - people who have not used this before quickly pick it up and are interacting within days without spending a lot of time on it. Tracking project items and issues internally as well as externally with clients. "Great for large projects, harder to manage for smaller teams." Assembla is a very, very robust project management software, replete with a number of features that reward those with a diligent work ethic. This is especially true for SCRUM-based projects or organizations. If you are working on a large-scale or long term project, it would be hard to go wrong with Assembla given its vast feature set. Assembla's UI can be a bit clunky and it is over-reliant on email notifications. There is a happy medium between Asana, Assembla, and Trello, but I feel like Assembla could benefit the most from an updated UI and UX. If you are working with a smaller team, stick to Trello, Todoist, and Drive. If on a larger project, use Assembla to bolster the resources you have available and keep your project on track. I have not used Assembla in about six months, but my time with the project was enjoyable. Assembla has helped myself and multiple teams go from conception to completion on a couple of game projects. The built-in task management, easy-to-understand timelines, and integration with major web services allowed us to effectively communicate our workflow. "A service as I need"
"Some issues but overall works for the most part"
Assembla is very simple and easy to use. The interface is laid out in a clear way and not very cluttered. When posting a bug with a file attached, there is a lot of lag and no indication that the bug is posting or the page is loading. I find myself clicking the button to submit the bug multiple times because I am unsure if the request went through. Also, I don't feel like it is as easy to search for old bugs on Assembla as it is on some other similar bug tracking software like JIRA. Assembla is simple and easy to use, and if you do not need many elaborate features, this could be a good bug tracking software to use. I use Assembla for bug tracking in a mobile game. It allows us to quickly and easily report bugs to the developers. "Assembla has been a good tool for us. " I'm a non technical founder and tools are very important for me to understand and manage our technology platform. Our CTO and developer both thought this tool would be good for our team. Nothing. The platform is working well for us. Tickets can be assigned to other team members and the knowledge base is searchable. Takes some training for users to get comfortable with the process. We did implement agile at the same time so it was a big change for our users. It makes it easy for us to assign resources and manage our agile processes. Assigning programming resources across our enterprise. We have lots of internal tools that need maintenance due to the nature of the data we use, and Assembla makes it easy for people to submit maintenance requests, feature requests, and bugs, and also makes it easy for our Product Owners and Developers to see what's priority and what everyone is working on. With Assembla we create Tickets for Sprints we generate the burn down charts .We assign ticket and we get mail. Ticketing System in combination with SVN. Since we began to us it, we never hat in mind to change to another solution. Comprehensive solution that spaces source control, bug tracking and wiki. A one-stop solution that always works and is easy to use. This is a great solution. Simple to get started and lots of support for building additional stuff. "Bug tracking software that's easy to use"
I'm not a developer so I don't use some of the more advanced features but what I like about Assembla is the easy to use interface, an integrated Wiki and and their Cardwall functionality that lets you keep track of bugs more easily for project management. We use both JIRA and Assembla and some key features missing in Assembla is the ability to integrate with HipChat so that you can reference discussions in tickets. Also missing are release versions with a list of tickets that are part of the release cycle. Assembla makes organizing and displaying a long list of client information to a large group of people very easy. It helps keep track of tasks related to clients and helps establish easy communication between team members about a certain client. One thing that gets confusing is the amount of information in the feed because it displays every update made. While it's good to be able to keep track of these, important information can get lost between updates. After migrating lists that were held in another database it became obvious that this platform is much more efficient, holds more information, and makes completing tasks much easier. "User as a project manager"
I like Cardwall, Filters, use of @username, Console integration, configure email notifications (eg. digested). Bugs like not able to assign ticket to people that nonetheless were participants in the project. Apart from the bug reporting I like the Cardwall (kanban tool). We communicate with the client through the platform. Set priorities and resolve issues. The interface upon logging in and if there are a lot of tickets can get very confusing. The filter option is used all the time. Built in burn downs & email notifications. Wasn't really sure if it would scale up well. If you're looking for an alternative to JIRA or Hansoft, I'd highly recommend Assembla for the instantaneous email notifications and build in burn down charts. It's incredibly easy to make filters for your team and user friendly. It didn't take me nearly as long to get on-boarded with Assembla as it has with other software. Daily emails helped me stay on top of the team's tasks and I was more quickly able to assess and correct when needed. "Great product in the Beginning..."
The ticketing feature was awesome. I liked the way it worked and looked. Share code and content in Assembla was horrible. Even though I don't "really" like Github, I have a paid Github account. Everyone uses Github and it is cheap ($7/mo), while Assembla was three times as much and rising. Also, the submit review button should be on the right side of the previous button. I had to "hunt" for the submit review link to even send this survey. I an eLearning consultant, web developer and creative director. I like that it has a Wiki. That is actually something we dont get in Jira. We use both Assembla and Jira right now. Sections are not as detailed as in Jira. Streamline a bit more like Jira. We are Agile, move quickly, and need a central place for all outstanding and upcoming items to test and develop. The option to work into detail in large projects with many people. Not being able to edit team members from each team. Unclear how to store and file away projects when they are idle. I'd like to be able to inactivate projects but not delete them or getting a file of all the info that I possibly could add again if I want to start it again by importing. I dont like the payment model. Big teams handles detailed problems. "Great project management tool but could be improved"
It is a great project management tool which offers an exhaustive set of features. It is easy to understand and use and helps in client management, e.g. the client invitation system where the team members can review the tickets. There are places where the software lacks in customizability. I couldn't customize the drop down menu for tickets, and similarly Assembla also has a fixed report system which is not much customizable. "Great for managing and reporting bugs"
many unresolved problems , and that encases or encompasses everything about open source . "Great basic online source repo"
How easy it is to setup new users to be able to access the repository. I really don't have any dislikes about this product. This is a great online source repo for a small dev team to use. Sharing a code-base with a team spread-out over different physical locations. Also we don't really have IT so didn't need to worry about setting up a server that gets backed up. There is nothing that displeases me about Assembla. "Dedicated user for 5+ years"
Great for managing agile software projects in a team environment. Easy to learn and a powerful competitor to Jira. Could get expensive for the portfolio edition, so we therefore don't use that. It's a great alternative to Jira, and better than any standalone git repository tool. Managing software development for teams in an agile environment. haven't been able to find version control yet. Notification onsite seems lacking. love how easy it is to work online with others with this! It does not have feature of logging the task done by developer and comparing it with original estimate. We create user stories,tasks and bugs in Assembla and the UI is simple easy to understand. "Great tool for Agile projects"
Assembla really gives me the flexibility to manage and Agile project and adapt to change quickly. I also am fond of the ability to create custom filtered views so I can see the project in a way that best suits my needs. I also like the reporting that comes along with it which allows me to easily share project status with a team members and stake holders alike. I'd like to see a point assignment game feature added so that all my agile needs can be done in one location. Right now we use an external website for point assignment. I'd also like the wiki to allow file attachments. it was a little difficult to learn and interface was sometimes hard to follow. "Two years of my experience using Assembla tool"
I like the feature that allows me delegating tasks across my developers and testers. Also I trace where are my developers standing on their tasks. User interface needs to be more user friendly and needs more dynamic graphical way of seen features in the tool. Automated Self scheduling system development and time and attendance system development. "Convinient and simple to use"
Assembla is very simple tool to use. It has great features to share and discuss as much details as possiblewith various team members. There is not a lot to dislike about this tool. I actually liked using Assembla, and cannot think of anything that I would change. The company provides a learning management software to its clients. Assembla helped collaborate on various software issues and problems. Ticketing system and code check in system get the job done. I've submitted requests to fix the CSS a button before and they responded quickly. Occasional caching issues where the page requires a shift-refresh to get ticket to update. Assembla is an excellent solution for an in-house development where you don't want the code to be public. Github may be more appropriate for a public project where contributions are welcome. Solved problem of tracking tickets. * We monitor all Assembla reviews to prevent fraudulent reviews and keep review quality high. We do not post reviews by company employees or direct competitors. Validated reviews require the user to submit a screenshot of the product containing their user ID, in order to verify a user is an actual user of the product. Hi there! Are you looking to implement a solution like Assembla?